Kylee and Vince met at dental school. He was a student and she was a dental assistant. They went on a blind date and they couldn't get enough of each other! 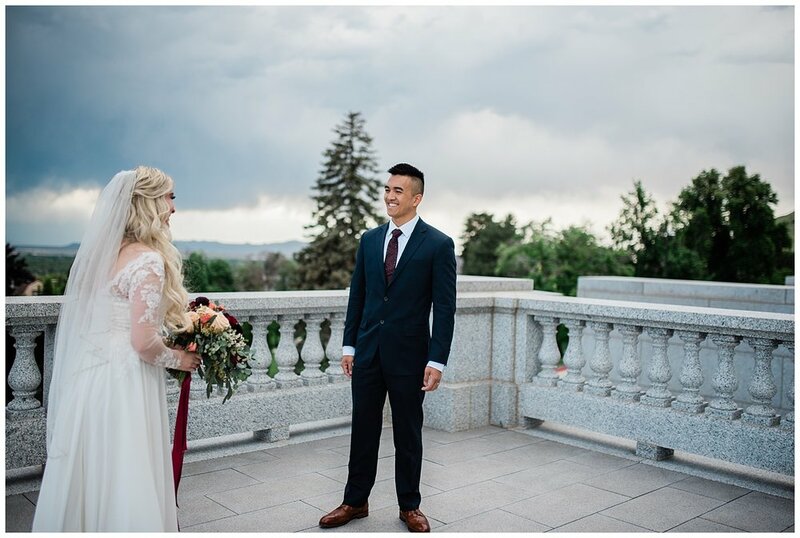 I met them both at another one of my bride's wedding, and Kylee caught the bouquet! I remember watching them giggle and dance with each other all night long. It was pretty obvious they were in love. I gave her my card and told her to let me know when she got engaged. And just a few weeks before she officially got engaged, she did! I was so thrilled! Kylee knew the proposal was coming, but not sure when it was going to happen. They had picked out the ring and so it was happening soon! One day, they went on a hike to Stewart Falls. She was sure it was going to happen on that adventure! But it was just too icy and cold. So they had to turn back. As they were driving back, she started crying because she was sure it was going to happen that day. And she was right! Vince then pulled over, found a beautiful spot, and he proposed. He was planning on proposing all along but the ice ruined it! But their proposal story makes their story even more romantic. 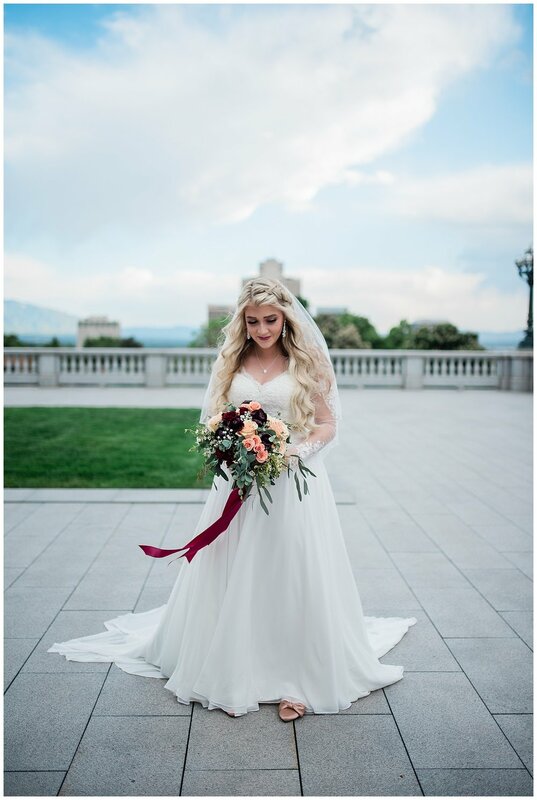 I love shooting bridals at the Utah State Capitol. There is so much variety and the perfect spot if you don't want to get a wedding dress dirty before the big day. 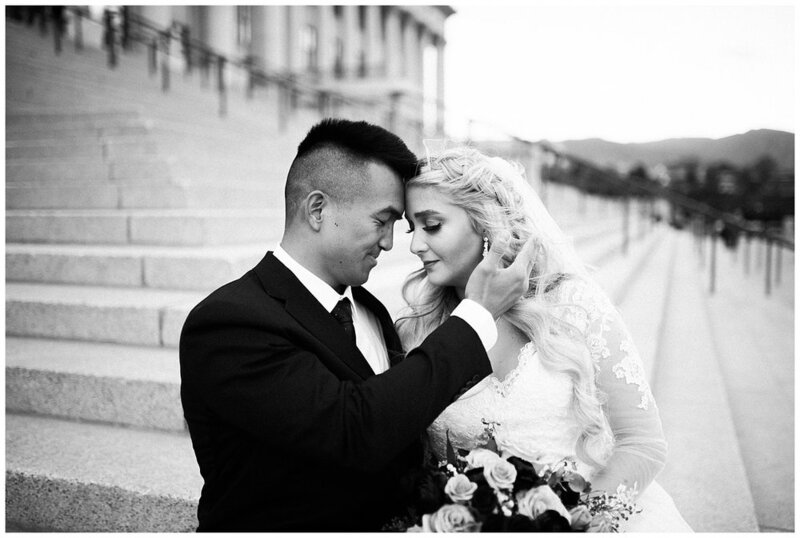 The Utah State Capitol is full of gorgeous scenery and there is also a beautiful park within walking distance! When we arrived, the weather was storming, the skies were dark and just a tad windy. But these two just took it in hand and embraced it! 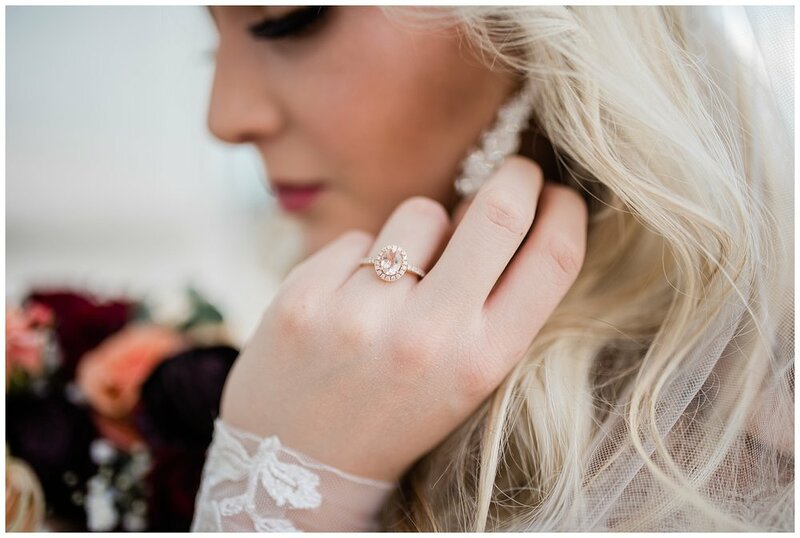 My favorite part of this romantic and classy bridal session was the first look. Kylee was so excited to show Vince her wedding dress, she started getting emotional. When he finally turned around and saw her, she immediately went into his arms and he hugged her tight. It was everything a wedding photographer could ever hope for in a first look. Vince has a Chinese heritage. His mother had gifted Kylee with special gold jewelry which is a Chinese tradition. 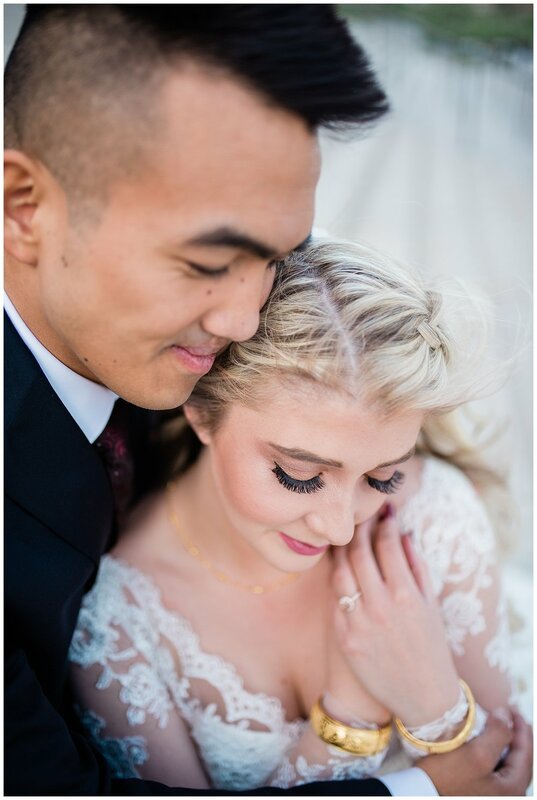 I loved that Kylee and Vince incorporated this gorgeous tradition into their special day.